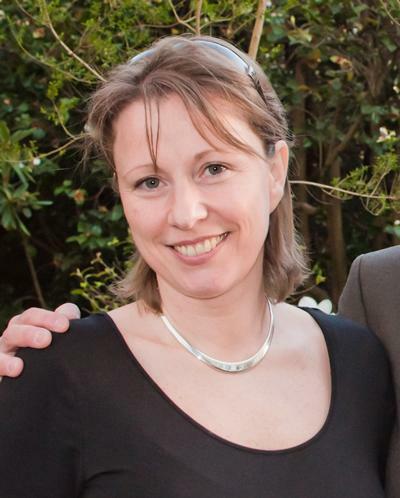 Professor Sarah Ennis is Professor of Genomics within Medicine at the University of Southampton. Professor Ennis was appointed Senior Lecturer in the School of Medicine in 2010. A graduate of the National University of Ireland, Galway, she joined the Genetic Epidemiology Group at University of Southampton in 1998. She investigated the genetic epidemiology of the fragile X region and completed her PhD in 2003 under the supervision of Professors Pat Jacobs, Newton Morton and Andrew Collins. Professor Ennis now leads the Genomic Informatics Group and works closely with Prof. Andy Collins in Genetic Epidemiology. Her group specialises in the analysis of next generation sequencing data with numerous projects studying detailed genomic sequence with reference to human disease causality. Her work benefits from strong collaborative links with clinical staff at Southampton University Hospital Trust. She is based in the Duthie building on the hospital site and attracts postgraduate and postdoctoral staff with strengths in human biology, programming and statistics. Individuals interested in joining her group should contact Dr. Ennis directly. Professor Ennis holds an honorary NHS contract and is a fellow of the Higher Education Academy. Advances in sequencing technology have the potential to effect a step change in our approach to medical genetic research and clinical diagnostics. Processing and interpretation of large scale genomic data from patient samples has the potential to reveal common and rare genetic changes that predispose to disease. The development of new tools and skills necessary to analyse, interrogate and understand the importance of genomic variation is an essential prerequisite. The vast nature of the data necessitate analytical pipelines, variant annotation and variant prioritisation in order to extricate biologically relevant variation from background noise. Sequence data can also be directed towards more generic biological questions pertaining to; understanding chiasma hotspots in recombination; inheritance patterns in families; extended regions of homozygosity and; factors acting in cis to modify chromosome stability. In 2010, Professor Ennis initiated local research into the genetics of paediatric inflammatory bowel disease (IBD). Patient and family recruitment is ongoing in collaboration with colleagues from Southampton University Hospital Trust and the NIHR Nutrition Biomedical Research Centre. This locally collected cohort of patients contributes to the UK & Ireland Paediatric IBD Genetics Group, as part of the UKIBDGC and is part of our current next generation sequencing work. Very detailed family history and clinical detail are collected for all participants. The cohort represents an increasingly important resource with over half of the children already having undergone complete exome sequencing. A PhD studentship part funded by the Gerald Kerkut Charitable Trust and the Crohn’s in Children Research Association (CICRA) supports this work. This work with IBD has led to a natural collaboration with Dr Tony Williams, director of the Wessex Integrated Sciences Hub Laboratory whereby research interests are aligned in bridging the information gap between autoimmunity and genomics in early onset IBD. Dr Ennis supervises a recent clinical fellowship award by CICRA to fund ongoing research merging these two disciplines. Similar parallel projects investigating translational immunology in the context of next generation sequencing in Primary Immunodeficiency are also in place. A local collaboration with the Vision Laboratory, part of the Clinical Neurosciences Research Division and Southampton Eye Unit, has produced patents in medical diagnostics and research papers published in leading international journals such as The Lancet and Nature Genetics. This work has involved international collaboration with the University of Iowa, The Netherlands Institute for Neuroscience and deCODE genetics Inc. Specifically research into the genetics of age related macular degeneration (AMD) and primary open angle glaucoma (POAG) using targeted investigation as well as whole genome association and copy number variant analyses have produced numerous scientific papers. More recently, we have begun applying next generation sequence technology to samples from patients with Cone Dystrophy and Nystagmus to ascertain causal mutation not found by conventional diagnostics. Professor Ennis supervises a CRUK funded postdoctoral position in the Genomic Informatics Group to support research into genetic variation in cancer. Ongoing collaborations with local researchers to: examine genomic data from germline and tumour DNA samples from patients with chronic lymphocytic leukemia and Splenic Marginal Zone Lymphoma; understand the pathogenesis and clonal evolution of multiple myeloma through analysis of genome sequence data; Assess exome data from long and short term survivors of pancreatic cancer; Investigating rare cancers such as Pseudomixoma Peritonei in collaboration with surgical colleagues - Mr Alex Mirnezami, local pathologists – Dr Norman Carr and the Hampshire Hospitals Foundation Trust. Professor Ennis co-supervises a PhD studentship investigating methods to detect novel chromosomal fusion events that lead to cancer. She collaborates with clinical geneticists expert in the process of splicing to identify protein isoforms that are alternatively expressed in breast cancers. Professor Ennis co-supervises an MD/PhD to identify the nature and prevalence of familial nephropathy with Dr. Venkat-Raman from the Wessex Renal Transplant Centre at Queen Alexandra Hospital Portsmouth. This project also aims to achieve precise genetic diagnoses in cases of uncertain aetiology. She also collaborates with consultant nephrologists at Southampton to investigate the inheritance of disease causing mutations in specific cases of congenital and childhood onset kidney disease. Following earlier work into the genetic epidemiology of the fragile X region, a current collaboration with Dr. Anna Murray from the University of Exeter, Prof. Pat Jacobs at Salisbury District Hospital & Prof. Tony Swerdlow from The Institute of Cancer Research aims to examine genetic predisposition to premature ovarian failure. Industrial collaboration with Complete Genomics for the application of whole genome data to next generation linkage disequilibrium map generation and with Oxford Gene Technology for method development to improve quality assurance in high throughput genomics. An international collaboration supported by the Santander Internationalisation fund and New Life Foundation to examine highly prevalent syndromic and non-syndromic cleft lip in Colombian patients in collaboration with Prof. Ignacio Briceno from Universidad de La Sabana, Bogota, Colombia. A recent collaboration with the Genomics and Proteomics Core Facility at the German Cancer Research Center aims to improve the clinical utility of next generation sequencing. Member of HDH Educational Committee; BBSRC Excellence with Impact steering committee; Academic Titles Workstream; Faculty of Medicine IT Group. Expert reviewer for the following international journals: Brain; Clinical Genetics; Case Reports in Genetics (Editorial Board); Clinical & Experimental Allergy; Expert Review of Obstetrics and Gynecology; Genetic Epidemiology; Genetics; Genome Medicine; Genomics; Human Genetics; Journal of Allergy & Clinical Immunology; Journal of Medical Genetics; PLoS One; The Lancet; The Lancet Neurology; The Lancet Oncology; The Lancet Respiratory Medicine. Expert reviewer for the Medical Research Council (MRC); Portuguese Foundation for Science and Technology (FCT); Israel Science Foundation; WELBIO Research Institute, Belgium; Nuffield Foundation; German Federal Ministry for Education and Research (BMBF) and the E-Rare group of national research funding agencies. Member of the Health Technologies Assessment (HTA) Diagnostic Technology and Screening Panel (DTSP) National Institute of Health Research (NIHR). Ennis, S., Collins, A., & Morton, N. E. (2003). SNP-based haplotypes and LD blocks in the fragile X region. Journal of Medical Genetics, 40, p.S15. Ennis, S., Collins, A., & Morton, N. E. (2003). The use of SNP-based haplotypes and LD blocks to positionally clone modifying determinants of expansion of the Fragile X triplet repeat. American Journal of Human Genetics, 73(5), 377. Maniatis, N., Collins, A., Xu, C. F., McCarthy, L. C., Hewett, D. R., Tapper, W., ... Morton, N. E. (2002). The first linkage disequilibrium (LD) maps: delineation of hot and cold blocks by diplotype analysis. Proceedings of the National Academy of Sciences of the United States of America, 99(4), 2228-2233. Ennis, S., Collins, A., Murray, A., Brightwell, G., & Morton, N. E. (2001). LD, FRAX and sequence-based maps. American Journal of Human Genetics, 69(4), 466. Murray, A., Ennis, S., & Morton, N. E. (2000). No evidence for parent of origin influencing premature ovarian failure in fragile X premutation carriers. The American Journal of Human Genetics, 67(1), 413-418. Murray, A., Ennis, S., MacSwiney, F., Webb, J., & Morton, N. E. (2000). Reproductive and menstrual history of females with fragile X expansions. European Journal of Human Genetics, 8(4), 247-252. Murray, A., Ennis, S., Youings, S. A., Sharrock, A. J., Lewis, C., Pound, M. C., ... Jacobs, P. A. (2000). Stability and haplotype analysis of the FRAXE region. European Journal of Human Genetics, 8(8), 583-589. Lonjou, C., Collins, A., Ennis, S., Tapper, W., & Morton, N. E. (1999). Meta-analysis and retrospective collaboration: two methods to map oligogenes for atopy and asthma. Clinical & Experimental Allergy, 29, 57-59. Contributes to steering groups; Exam setting, marking, moderating and board meetings. Regular assessor of BM5 years 1, 2 and 3 student selected units and assignments.